There are a variety of foot conditions which a podiatrist can treat, including flatfoot. If you are suffering from foot pain on a regular basis, particularly pain around your heel or arch, you may have flatfeet. Talk to your foot surgeon in Sugar Land about your symptoms, and read the answers to the following questions to find out more about flatfoot and how surgery can help. Feet that have low arches are considered flat. If you have flatfeet, you may notice that the entire sole of each foot touches the floor when you are standing. While some individuals with flatfeet experience no symptoms, others experience pain that can make activities such as running and playing sports more difficult. Flatfeet may be a hereditary condition that results in the arches not fully developing during childhood, or it can develop as the result of an injury or wear and tear with age. Even if you do not experience foot pain due to flatfeet, you may develop problems with your ankles and knees due to the misalignment of your legs. If your podiatrist has recommended surgery to correct your flatfeet, you may be wondering what this procedure entails. Flatfoot surgery is a reconstructive procedure that aims to improve the alignment of the foot by creating a higher arch. 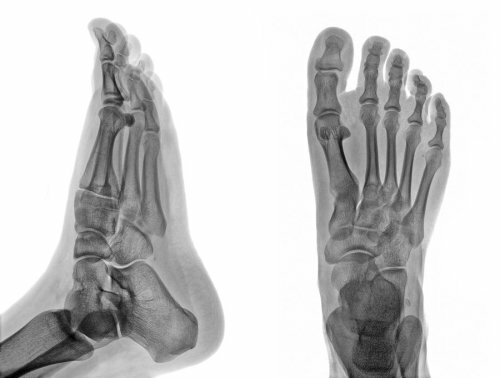 The exact techniques used depend on the patient’s specific problems, but the procedure usually involves repairing the ligaments and tendons that support the arch. Bone cuts may also be needed to correct flatfeet. Only a foot surgeon can give you a definitive answer about whether or not flatfoot surgery will help you. 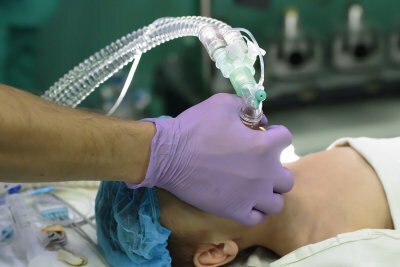 However, there are a few signs which indicate that this procedure may be useful. If you experience foot or ankle pain on a daily basis, then you may benefit from surgery. Your podiatrist may recommend non-invasive treatments, such as immobilization, shoe inserts, and physical therapy, before considering foot surgery. There are a few different types of cysts that can develop on the feet. Cysts are a bulging, sac-like structure that fills with pus or liquid. Cysts can be caused by infection, trauma, inflammation, or clogged oil glands. The most common types of cysts are ganglion cysts, synovial cysts, and plantar fibroma. Cysts can be diagnosed and treated by a podiatrist, food specialist, or foot doctor in Sugar Land . Ganglion cysts are benign growths that are filled with fluid, and attach to a tendon or tissue that surrounds the joint in the foot. They are sometimes asymptomatic, but can also cause a burning sensation, skin irritation, and can make walking and wearing shoes difficult. Plantar fibroma cysts are fibrous and hard knots that are found deep within the skin of the arch of the foot. They are non-cancerous, and can be found in either or both feet. A synovial cyst is a small, fluid-filled sac that occurs on the top of the foot, or over a tendon or joint. These cysts are initially soft, but can become firmer over time. A foot doctor or foot specialist near you can treat or remove your cysts surgically or non-surgically. There are three types of cysts that are common on the feet: ganglion cysts, synovial cysts, and plantar fibromas. Ganglion cysts and synovial cysts share several similarities. They appear on the tops of the feet, usually along a tendon or joint, and they can cause tendon, ligament, or joint damage. The main difference between these two types of foot cysts is that synovial cysts are encased in a layer of tissue that completely surrounds the cyst. Plantar fibromas occur on the bottom of the feet, usually in the instep. The cause is unknown, but genetics may play a part. You can learn more about these types of cysts and their potential treatments in this infographic from Advanced Foot and Ankle Specialists . Our foot doctor offers a range of treatments when home care is not enough, including drainage and surgery. If you’re suffering from foot pain in Sugar Land, make an appointment with us to see a foot doctor right away. Help others understand more about foot cysts and pain by sharing this information.